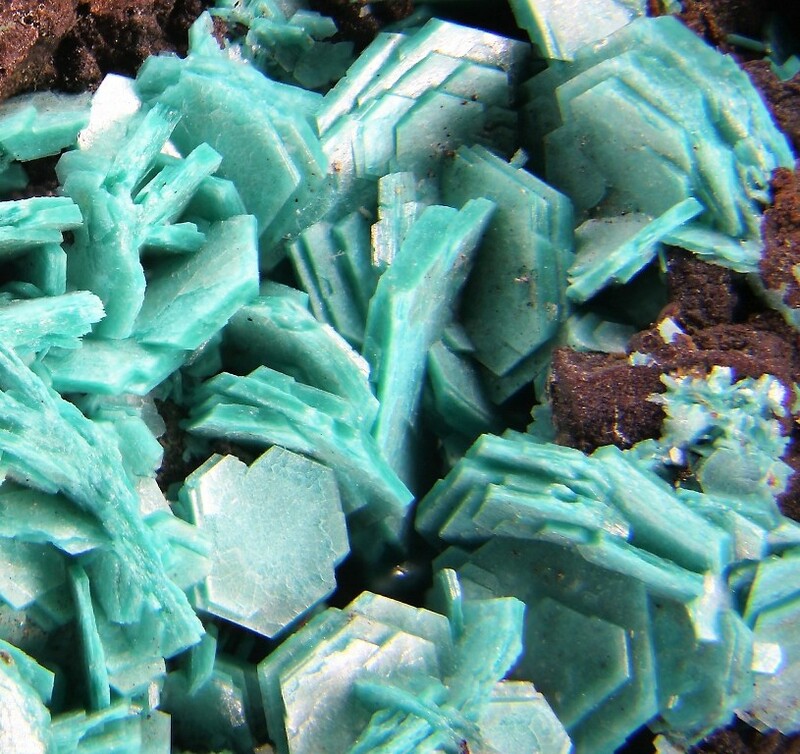 Old time specimen of chalcophyllite in beautiful sharp individual crystals on gossan matrix from the famous Wheal Gorland Mine of Cornwall, England. 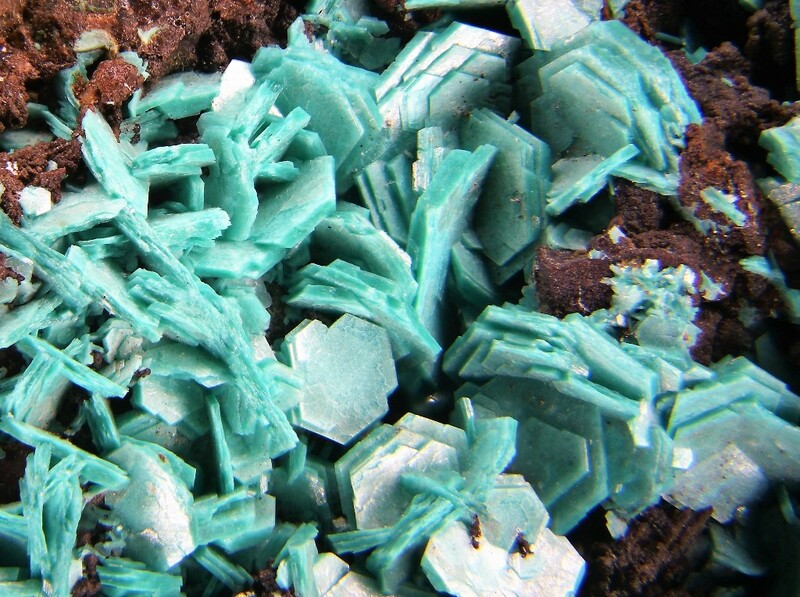 Associated with botryoidal aggregates and small crystals of rare parnauite! Although the old label assigns it to Redruth the specimen is very likely to come from Wheal Gorland, St. Day, (Redruth - St Day District) as confirmed by Cornwall expert Courtenay Smale and others.